By removing the top layers of dead skin and hair your skin will look more radiant, makeup will look more refined and your skin will have never felt softer. 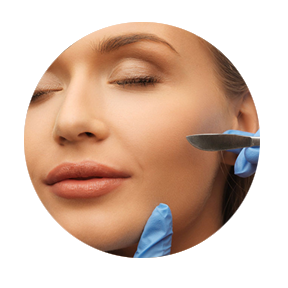 Dermaplaning is a method of exfoliation that consists of using a 10 gauge scalpel to gently scrape off the top layer of dulling dead skin cells in order to reveal a smoother and brighter complexion.It also allows for greater penetration of skincare products and creates flawless skin for makeup to glide on smoothly. Are you a Candidate for Dermaplaning? Dermaplaning is recommended for all skin types except those with acneic skin. If you have frequent breakouts, wait until they are clear before trying this treatment. Also discuss any allergies or skin sensitivities before beginning treatment. You’ll immediately look more radiant with a more even skin tone and texture. Are There Side Effects with Dermaplaning? There are no side effects with this treatment and zero downtime. After your treatment, your skin will be sensitive to sun exposure and may look very pink. With this being said, be sure to wear a broad-spectrum sunscreen with SPF 30 or higher to reduce the risk of hyperpigmentation.